The 3mm campaign went live in August with tyre dealers able to order posters, leaflets and dispensers direct from the printers. To enhance the credibility of the information, the point of sale material is branded Roadsafe and RoSPA and carries no identity from tyre manufacturers. Over 60 dealer packs were ordered in the first few weeks by independent tyre dealers. In addition, National Tyres and Autocare will be displaying the material in over 200 branches during September. The material can be ordered from Access Plus by calling Andy Burnell on 0113 387 8919, or by fax on 0113 252 2864, and payment made by VISA, Switch or American Express. 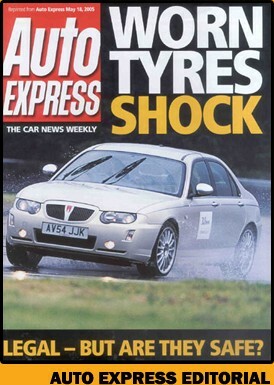 A reprint of the Auto Express double page editorial on the tyre tests at MIRA entitled "Worn tyres shock - Legal, but are they safe?" is also available. Five thousand of these reprints have already been sold to independent dealers by the National Tyre Distributors Association. A PR campaign is planned for week commencing 3rd October, which is prior to the national Road Safety week . Regional and national press as well as radio and TV are to be targeted in the weeks prior to the campaign. Tyre dealers are advised to make sure that their POS material is in place to take advantage of this national campaign which is perhaps the most significant event in the tyre industry since the invention of the radial tyre.